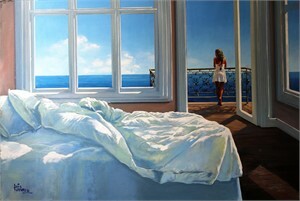 Luis Fuentes is a native of Peru, born in 1969 to a family of artists. After completing high school, Luis entered university to pursue a degree in architecture and fine arts, but came to realize painting was his true vocation so he dedicated his efforts to complete his fine art training. Luis Fuentes is a native of Peru, born in 1969 to a family of artists. After completing high school, Luis entered university to pursue a degree in architecture and fine arts, but came to realize painting was his true vocation so he dedicated his efforts to complete his fine art training.In 1990, while he was still a student, he won first prize in the Peruvian National Watercolor Competition. This prestigious event earned Luis both recognition and the opportunity to show his work in galleries in his country. Today, Luis shows his work worldwide. One of the most important elements of Luis’ artwork is the contrast between light and shadow. 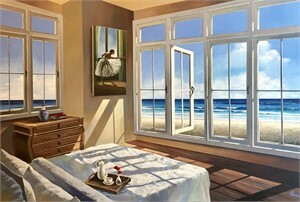 Each painting features rich shadows and bright highlights, to give his work a glowing illusion of reality.